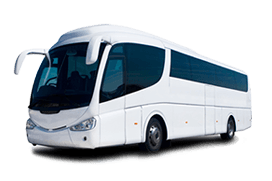 A Class Coach Hire provide airport transfers throughout all UK airports. We provide airport transfers for collections and drops offs for all group sizes, with vehicles from 4-84 seats we have the perfect vehicle for your next airport hire. We guarantee a reliable journey to or from any airport, We have a 24 hour team the monitors all flight information, monitor for delays or early arrivals taking the additional stress away. A Class pride ourselves on making sure your airport transfer journey is hassle -free throughout. For VIP airport transfers, we offer additional services including stateside pickups with discretion and secure service. We also offer a door to door service with airport transfers, meaning we are able to pick you up from your door and deliver to and from the airport, with this service we can also offer a multiple pick up option!! For additional extras with our airport transfer hire, A Class offers a private meet and greet, top quality hostesses, brilliant translators and arrival drinks to get your journey started! If you have excess luggage, we can offer our new luggage van service! Click on the following link to see our luggage van coach hire service. Here at A Class Coach Hire, we are able to offer an outstanding and cost effective service for an airport transfer hire. So call us today on 08000 433 263 or fill in the ‘Online Contact Form’ on the right-hand side of this page!